At Ferrari of Salt Lake City, our highly qualified technicians are here to provide our customers with exceptional service in a timely manner. From oil changes to transmission replacements, we are dedicated to maintaining top tier customer service for both new and pre-owned car buyers! Allow our staff to demonstrate our commitment to excellence. All of the work performed at our Salt Lake City facility is done using certified Ferrari auto parts so your vehicle is always repaired to factory standards. We assure you faster troubleshooting to maintain the magnificence of your Ferrari – whether it’s brand new, pre-owned, or leased. We provide regularly scheduled maintenance, performance upgrades, and major repairs. Whether you’re taking your Ferrari to the race track, or just around town, your vehicle should always be in the best condition possible. 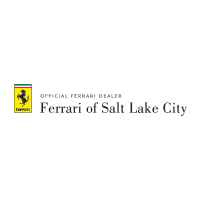 Here at Ferrari of Salt Lake City, we’re committed to giving you the highest quality service and repair. We work with all makes and models including vintage models, such as Ferrari 308, Ferrari 288, Ferrari Mondial, Ferrari 348, Ferrari Mondial T, Ferrari 355, Ferrari 360, Ferrari 456, and more! We want your Ferrari to be kept in tip-top shape. So make an appointment with our easy online appointment scheduler to have your dream car serviced today! A: Here at Ferrari of Salt Lake we offer new Ferrari’s, as well as pre-owned vehicles. In our pre-owned inventory, we have an ever-changing inventory consisting of quality, high end vehicles. A: Ferrari of Salt Lake offers you the stylish designed sports car coupled with an AWD option in some models. There is no compromise when you are looking in Salt Lake City for your next Ferrari. We give you the winter control you’re looking for. A: The best place to get your Ferrari serviced is in our service center, located at 543 State Street. Schedule service online or call our service department at (801) 521-0340. Keep your Ferrari running smoothly by letting our highly qualified technicians maintain it properly. To order parts, call (801) 521-0340 or fill out our parts request form.